Ribbons of Grace is set in Arrowtown, a frontier town with an explosive mix of inhabitants, during the Otago goldrush of the 1860s. It focuses on the love affair between Ming Yuet, a young Chinese woman, and Conran, an Orcadian stonemason. This touching novel opens with Ming Yuet at the graveside of her and Conran's daughter, Fang Yin. She is recounting the stories of their lives: the loves, the heartbreaks, the friendships, the hatreds, the hopes and the losses. Ming Yuet, an intelligent, resourceful young woman, has taken on the identity of her brother after he is killed by water pirates in China on his journey to New Zealand. She lives for several years as a miner, her secret known only to a few. Conran, a spirited, musical man, has escaped family tragedy to make a new life for himself in New Zealand. The two characters meet when Conran rescues Ming Yuet from a flood, setting in motion a magical love affair. The lovers must face prejudice and many challenges to allow their love to triumph. Will desire or deception triumph? 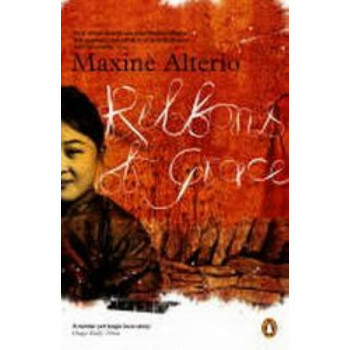 Ribbons of Grace has three storylines and three narrators - Ming Yuet, Conran, and Ida, an English nurse, with each telling their part of the narrative in a distinctive voice.